Not something you slap together and hope will work. No. When it comes to your social media content, you want to create content that engages. Content that drives clicks. Content that excites people. That type of content doesn’t just happen by accident. That’s why you might need a Social Media Content Calendar. This content calendar will be your blueprint to generating more interest and drawing in new leads. If you do it right, you won’t have a haphazard set of ideas that “might” work. Instead, you’ll come into your next social media content season with a real, rock-solid plan—and ways to test its efficiency and tweak it over time. In the military, no new plan starts without first gathering essential information. Granted, your company isn’t exactly going to storm the beaches of Normandy anytime soon…but every plan has to start out with a basic premise: knowledge is power. The more you know as you draw up the plan, the more likely that plan’s going to be effective. What does that mean in the context of social media content? That depends on one important factor: your goals. What exactly is it that you want to achieve? What do you want to get out of your social media content? Set a clear goal. Don’t pick one arbitrarily; try to pick a goal that will matter to the bottom line of your business. We’ve listed four samples of potential goals above. You can pick from these, or you can set your own goals—but the important thing here is not to proceed until you’ve figured out what it is that you want to achieve. Do some research. You don’t have to do a lot of research to find some clear-cut strategies for achieving your goal. But you should at least do a little. You don’t want to go into your social media content calendar blind. Instead, look up what types of content people are posting to social media with the most success. You might find you’re surprised by the results. For instance, if you find that video has a 40% higher engagement rate than social media contests, you might start putting your efforts there instead. This information doesn’t have to be sweeping, but it should give you an idea of how to go about achieving what it is you want to achieve. Scope out the competition. Where is your competition getting the most engagement? How are they driving more clicks? What kinds of strategies can you use without encroaching on them? There’s plenty you can learn from competition that you’re free to use so long as you go about it in a smart way. Once you’ve gathered some information, it’s time to create a plan to capitalize. …and realize that you have absolutely no idea what to do next. What should you do next? After all, this feels like you’re asking yourself to come up with a brilliant plan out of nowhere! Sure, you have some insights from the previous step, but you don’t know how to turn those into tangible content ideas. Hopefully, your insights will at least give you a springboard into future content. For example, if you’ve noticed that your competition is having a lot of success with a consistent type of content, you can try to create something in the same vein. No, you won’t be innovating a whole lot if you do this…but you will start to get a feel for what sort of content does work. These two tools will help you view similar content to the ideas you have. And even if they don’t give you specific ideas for titles of blog posts or insights for videos you can create, they will at least get the juices flowing. At this stage of the game, you’re essentially brainstorming your plan. And it’s okay to have bad ideas. Just be willing to write them down, and edit them later. In fact, it’s not a bad idea to sleep on it, just to give yourself some additional perspective when you return to your list. If you really want to be sure that you’re working with a good set of ideas, you can also try shopping them around to your friends and colleagues. Get a third-party perspective. You’ll find that some titles you didn’t think were so intriguing actually pique peoples’ interest. Once you’ve generated your ideas and have whittled them down to those most likely to succeed, you now face a new test: how well you can plan the timing of this new content. There’s no single answer here. For instance, you might find that you can do the content yourself. Or you might find that you need to hire a third-party business to handle the content. If that sounds intimidating, don’t worry. Creating a social media content calendar doesn’t always have to be problematic. In some cases, your content sharing strategy on social media will be as simple as scheduling out Tweets to automatically post. But there may be some content you need to generate. That’s where you’ll need to buckle down and focus on how you can achieve this in the timeline you want to establish for yourself. Like anything else, don’t be afraid to test your assumptions here. You can always slow down or speed up later in the process if that’s what you think will generate more leads. As you dive deeper into your social media habits, you’ll find that there are optimal times for you to post new content. Have a look at Buffer’s studies into timing on social media to get a better sense of when to publish your content online. Let’s be honest: if this is your first social media content calendar, there’s a good chance that you’re not going to get it exactly right. In fact, part of the process is learning and tweaking. The more you implement your social media content calendar, the more insights you’ll have for the future. The important thing is to include regularly scheduled reviews into your calendar so you remember to do it! Still unsure about how to pull off a great social media content calendar? 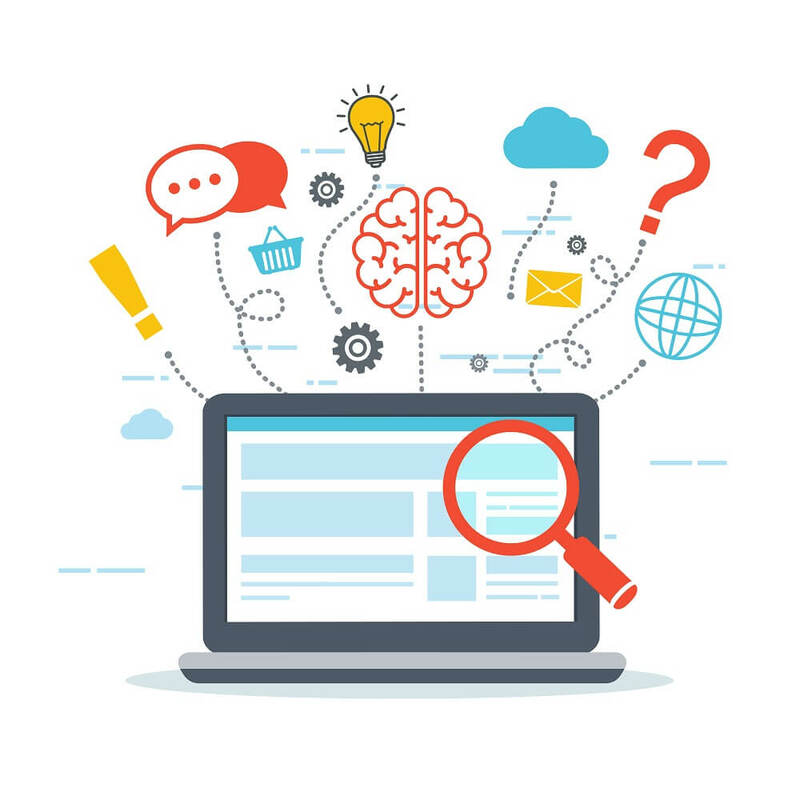 It may be time to make your web presence more robust. 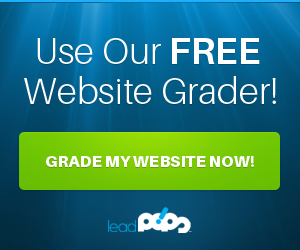 We recommend trying out a free trial of leadPops to make your online marketing presence that much more intuitive. 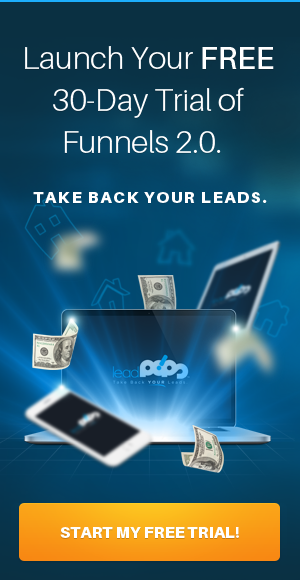 With it, you’ll gain access to the tools that make your company more likely to generate leads from social media.